Pickup from Indore airport/ Railway Station/ our your desired address and leave for Pachmarhi approx. 410 Kms – 8 Hrs. 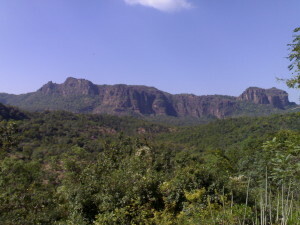 Reach Pachmari in evening and Night in Pachmarhi. After Breakfast up local sightseeing of Panchmari Jamuna Prapat (Bee Fall), Rajat Prapat (Big Fall), Handi Khoh. Evening you can go to the topmost point in Pachmarhi to see the Sunset. Overnight at the Hotel. After Breakfast drop leave for Indore approx. 410 Kms./ 8 Hrs.